Boston is great for a lot of things - sports, beer, networking - but yeah, it is terrible when it comes to the process of moving. It is impossible to find a parking space for your moving truck. Everyone moves the same weekend (woof September 1). And because the city is so old, there are way more rickety staircases than there are elevators. my old apartment was on a 5th floor walkup. I needed to store my belongings for six weeks before moving into my new place. I was in a major rush. I don't advise moving without 3-4 months to plan, purge, and pack! The idea of hauling all of my sh*t down five flights, loading it into a truck - inevitably blocking all sorts of North End traffic - and then hauling it off to a self-storage place by myself sounded way too miz for me to handle, so I did some online digging and discovered Fetch. 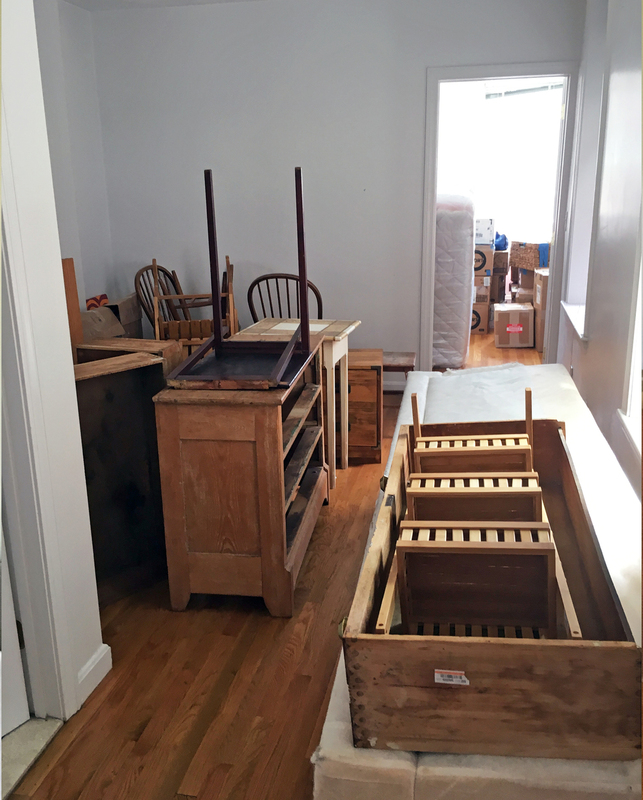 Fetch is a Boston-based moving and storage company that helps disassemble furniture, and then safely moves and stores your belongings on a month-to-month basis. The great news for me was that they too were based in the North End! Like most moving companies, they charge by the hour, so I was nervous about how long the move would take - so when five dudes showed up to my door ready to hustle, I was impressed. They efficiently inventoried all of my stuff and hauled it all outta there. I even saved $60 by applying for the moving vehicle parking permit myself. boom $$$. The whole process took about four hours, which wasn't bad considering the sheer volume of stuff I was putting into storage (more than 90 boxes/furniture pieces)! If you're using Fetch and planning to get your stuff out of storage in August or September, make sure to select your drop-off date well in advance because they definitely fill up during moving season. I felt lucky to be moving into my new pad during the offseason - June - but the downside was that I already had trips planned for every June weekend and I really didn't want to use a vacation day to move into my new apartment because that would just be a double-whammy of suckiness. Nonetheless, I planned for a weekday, and they showed up to my apartment at 9:30am and moved everything into my new 3rd floor walkup in LESS THAN AN HOUR! Fetch ftw! I got to work mid-morning with a serious sense of relief. So, as moving season approaches, give yourself a break and let the professionals take care of ya!